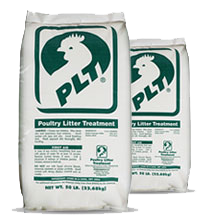 PLT® – Poultry Litter Treatment – Jones-Hamilton Co.
PLT®-Poultry Litter Treatment has proven to be the most effective and economical litter acidifier available. PLT lowers litter pH and creates a beneficial environment in the poultry house by controlling ammonia released from the litter. 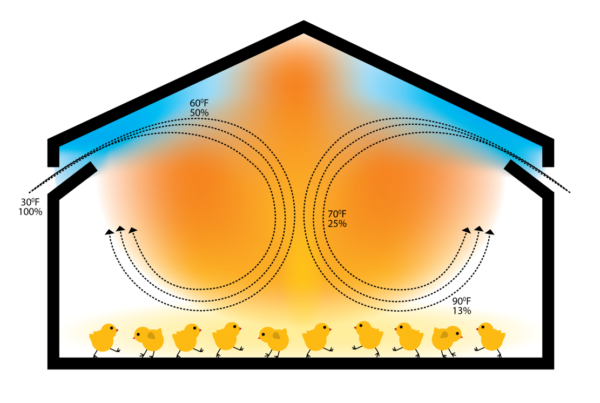 The ammonia bound by PLT reduces environmental emissions and increases the nutrient value of poultry manure. Flexible. 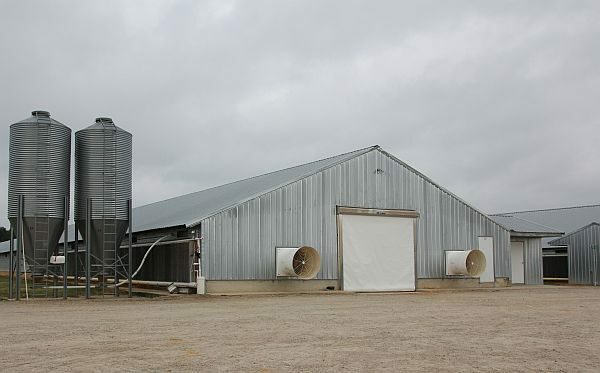 PLT can be used in any litter-based commercial poultry operation including those that grow broilers, breeders, turkeys, commercial pullets and layers, quail, pheasants and ducks. Easy & Safe Application. PLT can be applied using any type of spreader and it’s the only litter amendment that can be safely applied with birds in the house. Plus, PLT is the only litter amendment that is classified as non-hazardous by the DOT and non-corrosive. Fuel Savings. 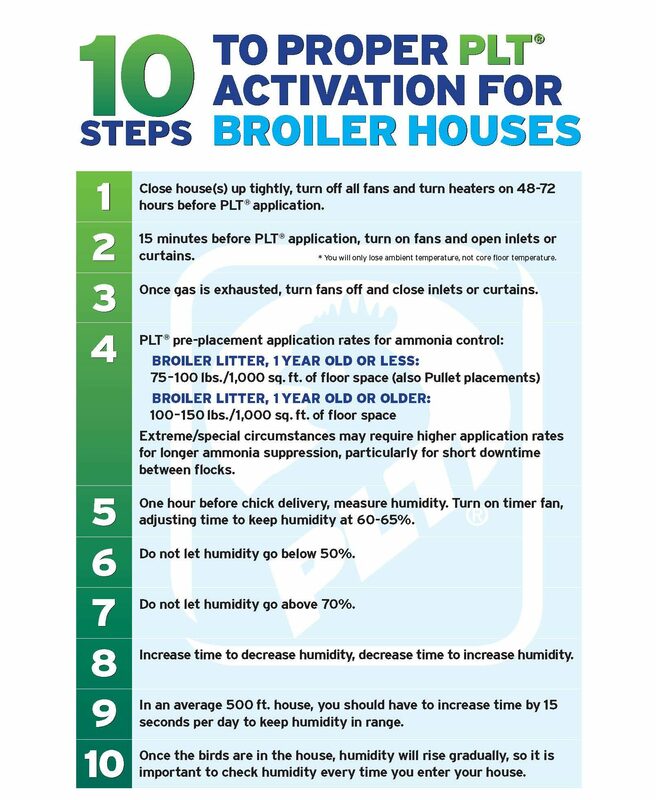 By immediately binding ammonia, PLT decreases ventilation needs, which reduces fuel costs. 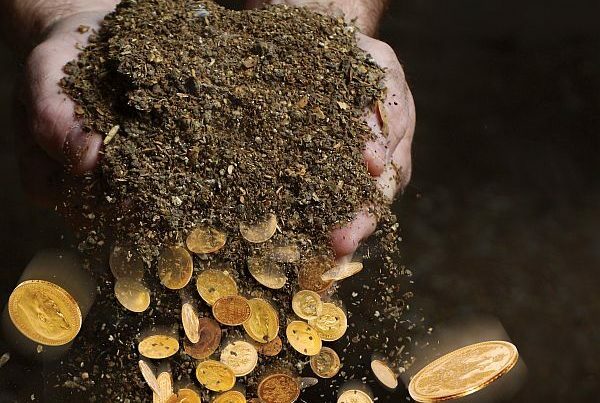 Valuable Poultry Manure. 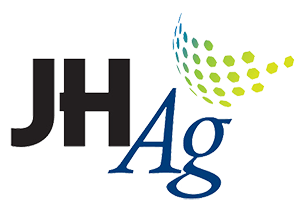 By turning volatile ammonia into stable ammonium sulfate, the value of the poultry manure increases. When PLT is applied it breaks down into sodium, hydrogen and sulfate. The hydrogen lowers pH and converts ammonia into ammonium. This ammonium then binds to the sulfate portion keeping ammonia bound in the litter for the life of the flock. PLT is a safe mineral acid that breaks down into products naturally found in the environment. We provide economical products with cradle-to-use traceability that help manage some of the most significant issues the poultry industry faces. Have questions? Find the representative nearest you or call (888) 858-4425 for help with any of our products. 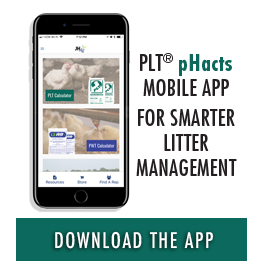 Maximize your litter management program with our mobile app.